Amazon is currently offering an excellent deal on its third-generation Echo Dot, bundled with its WiFi-compatible Smart Plug. Right now, for what is likely to be a limited time, you can pick up both as part of one purchase for just $39.99. 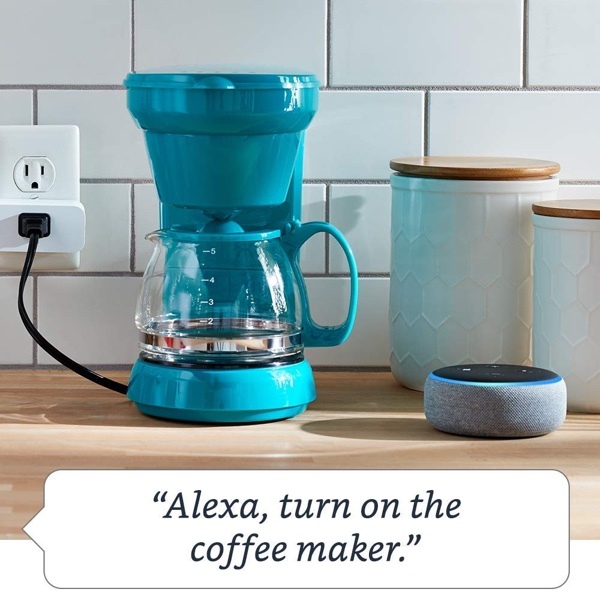 This particular deal comes in two parts so let’s focus on each part individually: first and foremost, the gorgeous third-generation Echo Dot, and then, of course, Amazon’s own Smart Plug designed to let you take that first important step into creating a smart home. The Echo Dot shouldn’t really need any introduction at this stage. This is the third-generation model and is quite simply the most gorgeous Echo Dot Amazon has produced thus far. It offers a stunning curved design and looks immediately like a beautiful and technologically advanced hockey puck. However, rather than smashing it with a hockey stick, you simply talk into this little beauty to get answers to some of life’s most important questions thanks to its Alexa integration. It also functions as an extremely reliable Bluetooth speaker and can be linked to other Echo devices to form a chain within the property. From a tech perspective, it offers 4 far-field microphones to ensure that it can hear your commands from anywhere in the room and doesn’t actually require any additional hub hardware. The Amazon Smart Plug is also an extremely worthwhile addition to this bundle. Like the Echo Dot, it doesn’t require any additional hardware to function and will simply connect to an existing 2.4GHz WiFi network to derive its “smartness.” This plug allows you to connect any of your appliances to it and immediately control them with voice commands via the Echo Dot that is included in the bundle, or via any other Echo device that you have, for that matter. 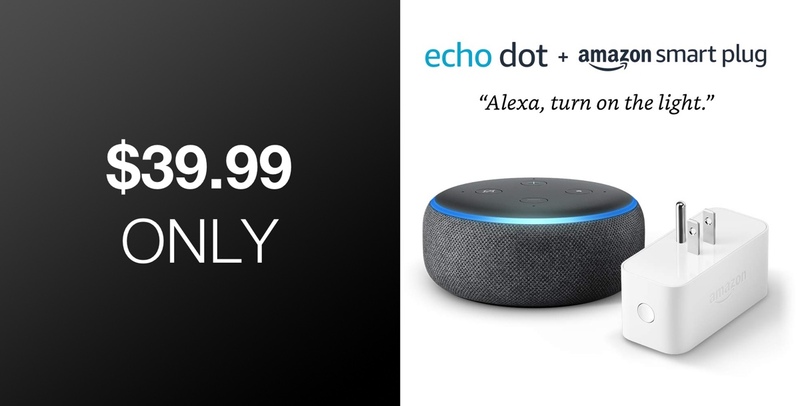 In addition to getting both pieces of kit for one low price, it’s also possible to choose to have the Echo Dot finished in either Charcoal, Heather Gray, or Sandstone and still have the price honored. A truly diverse and impressive technology deal for you to take advantage of, right now.